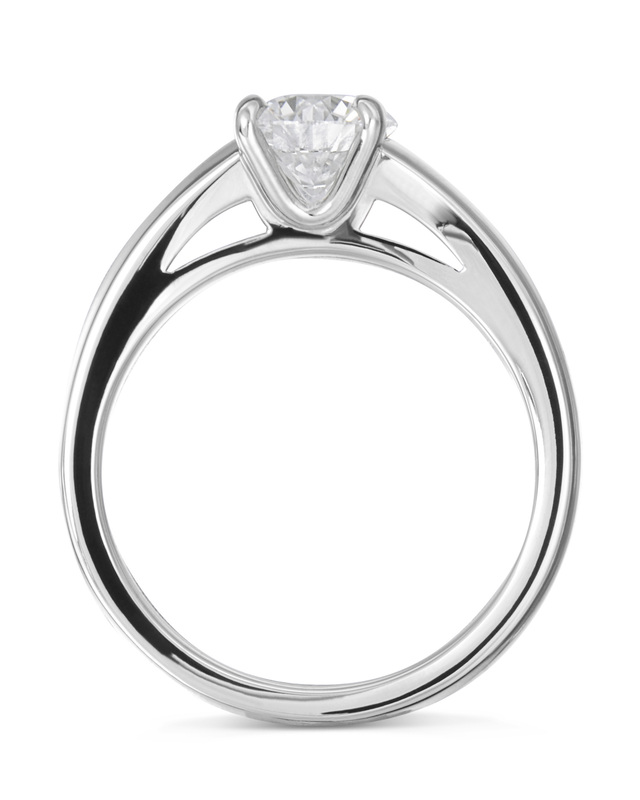 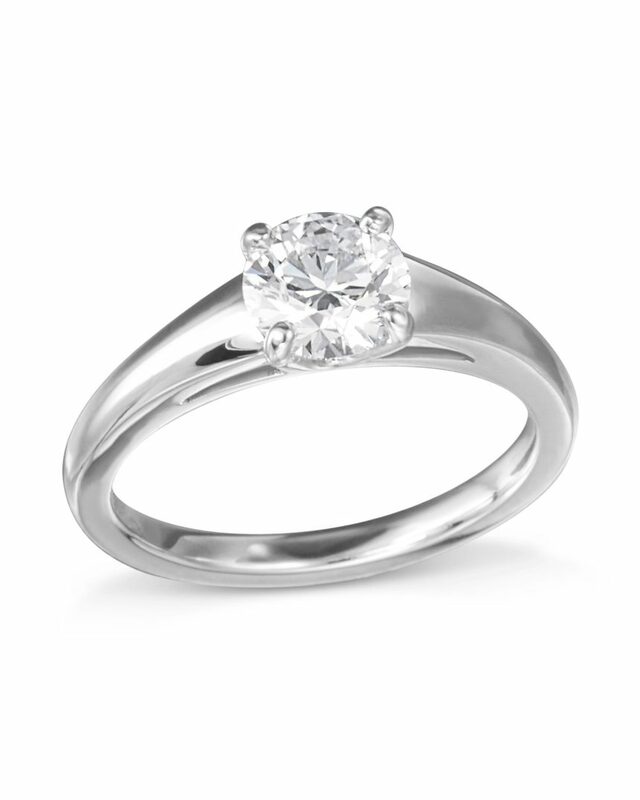 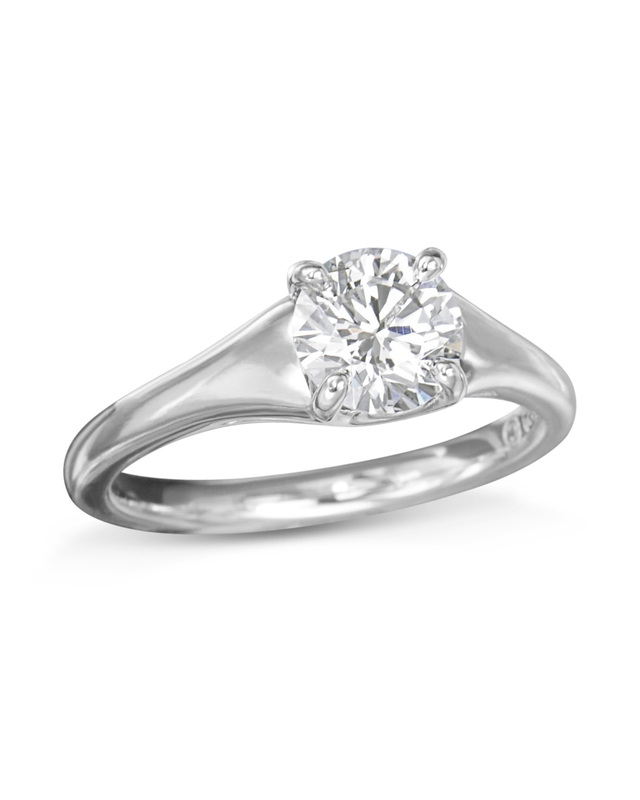 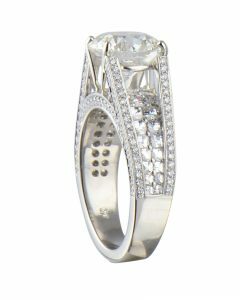 Our Sculpted Platinum Diamond Engagement Ring is Exclusive to Turgeon Raine. 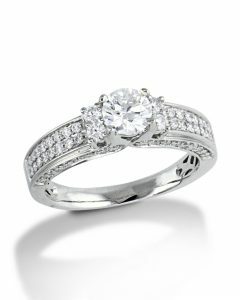 This engagement ring displays exquisite craftsmanship that redefines simple elegance by adding a modern twist to a classic design. 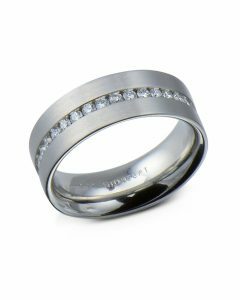 A beautiful band delicately tapers down with subtle airlines as a lovely detail perfectly designed to draw your attention to the center stone. 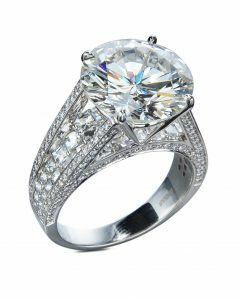 If interested in a larger diamond, different shape or colored stone, please contact our store for pricing.